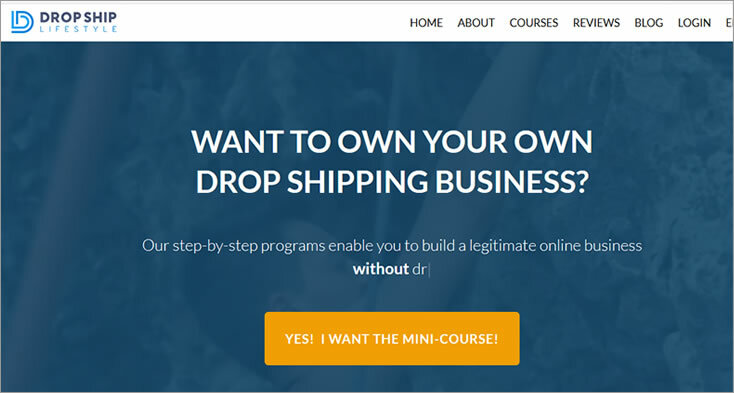 Drop Ship Lifestyle Review: Anton Kraly's Ecom Course. Is it a Scam? Hi guys, welcome to my long awaited review on Drop Ship Lifestyle by Anton Kraly. Here we pick apart the course and see if it is worth the hefty price tag you need to pay as a full member. Let's dive in. Drop Ship lifestyle is a platform that is free to join for everyone. For starters, when you start making use of the platform for Drop Shipping-related information, you are required to register as a member by adding your email to their subscribers’ base. This will qualify you to get a free course on what Drop Shipping is all about from Anton. The information or as they call it on the platform, “drop shipping course” that you will get is nothing than the basics of what drop shipping is. To enjoy the comprehensive process of how you can get it done all by yourself, there is a price to it. The price of having the “premium” course on the platform is $3000 while the “ultimate” course is $5000. Out of curiosity to see what they have to offer on the free plan, I subscribed to it and almost immediately, I got an email. This is none other than a welcome message and a walkthrough of how amazing Drop Shipping is and how it has changed a lot of lives in the past plus how I can also be one of the numerous happy subscribers. Enough of the fluff. I am writing this to help you guys make decisions that are worth it, as, at the end of this review, you will have a clear indicator as to whether you should buy the Drop Ship lifestyle course or not. Two heads are better than one, Anton Kraly realized this a little later in his life as he started his Drop Ship Lifestyle platform all by himself and it has been like that till date, he has been the only one working on the technical bits of his platform with exceptions to the times when he has had to hire extra hands. Anton’s original dream was not to start a platform that will teach people how to be drop-shippers and make money off the internet. His original dream job was farther away from being a mentor to people all over the world who are looking to earn substantial income off the internet. In the beginning, Anton was just like everybody else; he never knew he could make money online, his entire life had been all about how he could make something of himself by either opening up a chain of restaurants, a bar, an investment company, or a gym. After graduating from college in 2006, Anton had plans to make millions, travel around the world and retire young. Anton knew all of these would be impossible without being his own boss. As someone with no prior plans, Anton was lost, but he tried his hands on a few normal jobs to take care of his bills before taking the bold step to actualizing his dreams. Everything changed in 2007 when Anton got his hands on a book that introduced him to the e-commerce scene. This triggered him to commit himself fully to the art of learning all about e-commerce which is the building block for what his business model is today. He's actively promoting a free webinar where you will get some free training. Below are details and a link to the webinar. I'm not an affiliate of his course but feel free to jump on his webinar. All I ask is that you come back here and read what you really should know at the end of this article. Over the years, Anton Kraly has been consistent in releasing back to back updates for his Drop Ship Lifestyle course and version 7.0 is the most recent. DSL has seen a fair share of updates, but its model is still based on the original platform he started with, a WordPress hosted website running Optimizepress. Change is constant. This course that was pegged at a considerable amount some years back now costs a whopping $2,997 for the basic subscription. Considering this new price, there has been a 101% increase in pricing as back then in 2017, the minimum entry fee was a meager $997. It is worthy of note that the seventh version of this course is embedded with new designs and it is expected to launch with more comprehensive explanatory videos. Here are the noticeable changes that has occurred to the course with every new version. Right from the moment the V.4 of his course was released into the Drop Ship lifestyle community, there has been unrest over the new changes that came with it. The subscription plans have been streamlined into 2 with the basic and premium plans being merged into one. Let us get into the details for an overview of what the subscription plans look like now. This package contains everything to get you started on your Drop Shipping venture. For only $3000, (sarcasm) you will have access to a blueprint that contains 7 training modules, private apps, dropshipping software, DSLabs and the ability to Drop Ship Lifestyle supplier directory access. Subscribing to the premium package gives you an exclusive access right to Drop Ship Lab section which houses S.O.P's, checklists, and scripts so you can contact suppliers. The DSL supplier directory is a great addition to the premium subscription package but there are other options like Worldwide Brands or even Salehoo that I reviewed recently and even had a giveaway contest on. Boo if you didn't sign up for it. Costing $5000, the most expensive of all the current plans on Drop Ship Lifestyle is the ultimate subscription package. On the premium package, you pay to have access to befitting information that can set you up financially via drop-shipping, this one, on the other hand, is the complete opposite. All you have to do is pay for the course, and most of the hard work will be done for you. For starters, a website will be set up for you; this is in a bid to make you give undivided attention to learning how to build your business. Asides getting your website created by the team over at Drop Ship Lifestyle, you also get to jump on private calls with Anthon Kraly himself. A Drop Ship lifestyle retreat ticket will also be included in your subscription package. The Drop Ship lifestyle retreat is an event held in Thailand and other locations where marketers all over the globe come together in one place to brainstorm. 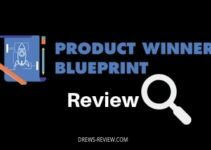 Version 7 comes packed with a lot of features, and the top of the list is a new module to cover the foundations of Drop Ship lifestyle and an update to niche selection, market research strategies, supplier approval module, etc. For the entire duration of the sales video, you are promised a foolproof refund policy in the form of a 30-day money back guarantee. There is a bit of deception here because in reality if you can't show you didn't complete the course in it's entirety, you are not worthy of a refund! Buyer beware. Based on how large this course is, completing it in less than 30 days is nearly impossible, not doing so invalidates your refund claim. Think about it! Even though the course is one of the most sought after in its niche, the pricing system is just super crazy and ridiculously laughable. The money-to-value ratio of the course is not in any way satisfactory. The course is not worthy of being sold for such a high price. 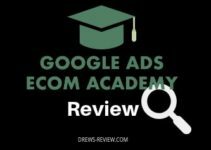 As mentioned in other reviews that feature ecom courses with high prices, you don't need to spend that kind of money for Ecom education. There's some course creators that create outstanding stuff that won't gouge you. What I also found alarming was one of the most challenging things a newbie to dropshipping experiences is what products to sell. A good course will have a whole module dedicated to this. Anton's course does not. Is there an alternative to drop ship lifestyle? Not everyone has money to throw away on a course that costs this much. The good news is that there are eCom experts out there that do care about their students' success and don't charge an arm and a leg for their courses. One of those instructors is Franklin Hatchett. If you haven't read my eCom Elites review yet, you should give it a go. It's not as long as this one and you'll soon see why it's superior. The best part is that it starts at just $197 for the standard version and $297 for Ultimate. If you want to learn more, click here to see Ecom Elites for yourself. I attended a DSL webinar a couple a weeks ago. Out of the many, many, many eCom webinars I attended DSL has been the best (or shall I say most convincing). This article was very helpful. DSL’s webinar had a deal going on for $1497 for a limited time only. I almost did it but my husband convinced me not to. He was highly skeptical and extremely uncomfortable with the thought of paying $1497. He too had just invested $1500 for a course. Looking back he said it wasn’t worth it. I admit I was furious with him for not supporting my desire to join DSL. I’m so happy I found this article!! I’m less furious with my husband now and you’ve encouraged me to research other avenues. The webinar made it seem like it was going to be a whole lot of hand holding? I admit this was music to my ears, As I am only just starting out. One of the main things that drew me to DSL is they were making their wholesaler’s list available. In the webinar, it was mentioned that when it comes to wholesalers there is a bronze list, silver list, and a gold list. They were going to give you access to the gold list! I was sold! Lol! 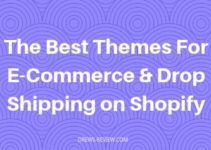 Your article mentioned there other avenues I could use to access wholesalers. I also learned Shopify has a nice size wholesalers list as well. Thanks for the in-depth article and the leads! Ricki you really missed out on that Gold list! lol. All kidding aside yes there is no need to spend 1500 bucks on a course. Ecom Elites has a ton of value that you won’t find in more expensive courses and that’s why I highly recommend it to my readers. Whichever direction you take just work at it and results will come in time.